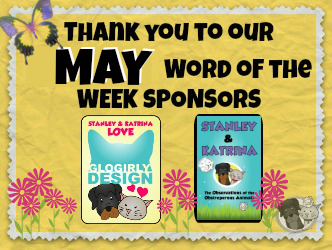 We are ELATED to have the paw-riffic Courtney Sheinmel here to introduce the final Word of the Week for this school year. Can you believe it? We made it (40 words;40 videos and 30+ guests) since September of 2014)! We must give a shout-out to our organizer, editor and all-around assistant, Cool Mom, for all of her hard work on assembling the videos. This is a bittersweet week for us, as our young author has moved on to other projects. Therefore, we will not return with Word of the Week videos next school year. At least, it isn't in the plans for us as of right now. 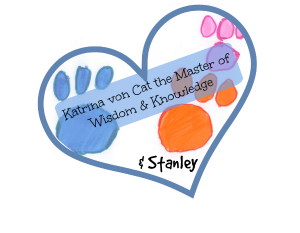 Thank you for your paw-some support of this fantastic literacy initiative. We have enjoyed working with you all! 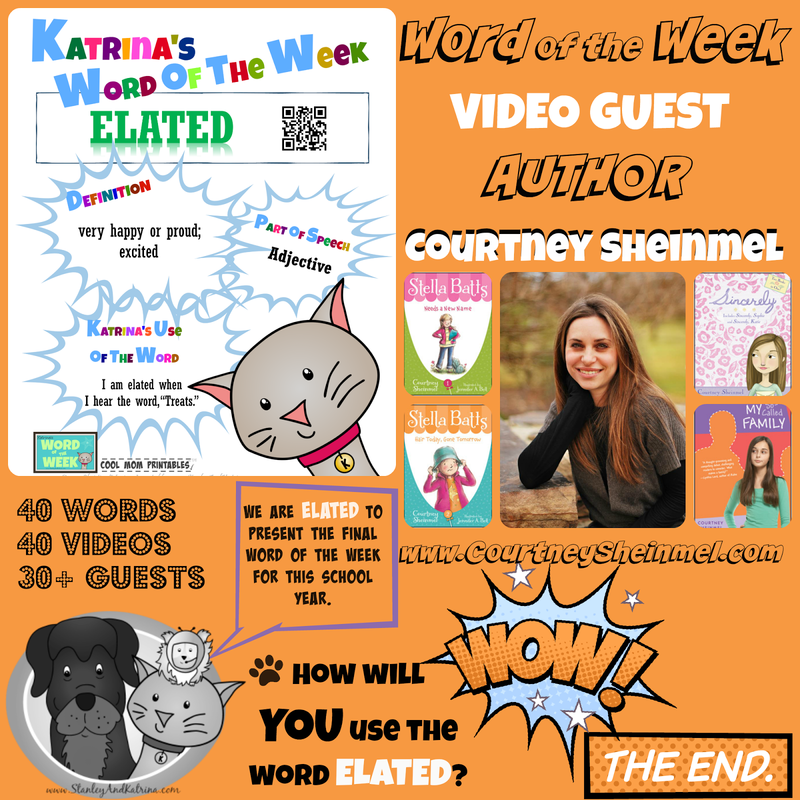 Now back to this important week... Courtney, our guest, and author of the Stella Batts series for young readers, is joined by her friend, Brody, to introduce the word elated to us. 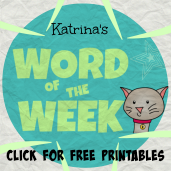 Thank you, Courtney and Brody for introducing this week's Word of the Week: ELATED. Can you use the word ELATED in a sentence?